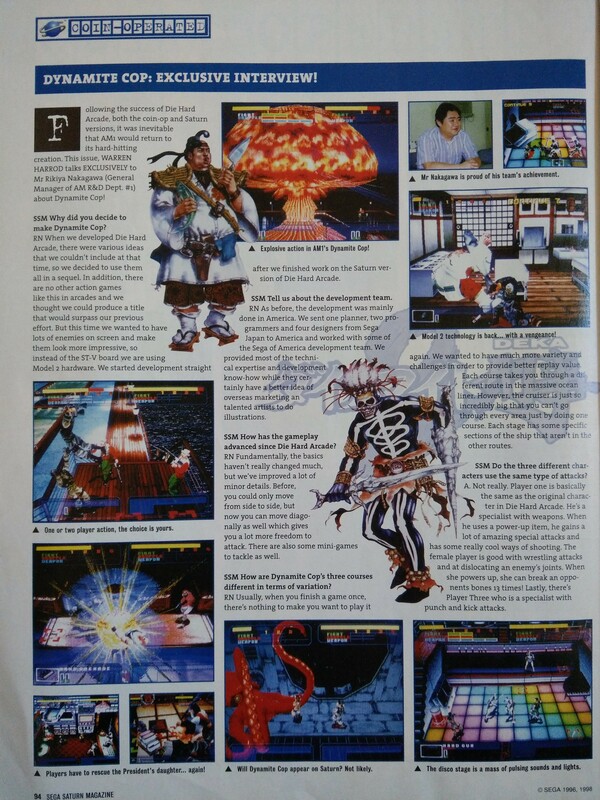 This 1996 interview with AM1 programmer Susumi Hirai was originally published in the August 1996 issue of Sega Saturn Magazine. It was translated for the Die Hard Arcade section of the book The Sega Arcade Revolution: A History in 62 Games. It holds some interesting tidbits of information regarding what would become Sega's most successful American-developed arcade game, and a Saturn classic. Read the full interview for more details. Nice little interview. Die Hard Arcade is my favorite beat-'em-up of all time. I just wished they'd spoken to Makoto Uchida instead (and more in-depth). That'd be great, I don't think I ever came across an interview with him. It's kind of a long shot, but I figure I might as well ask: this Susumi Hirai interview was from the Japanese Sega Saturn Magazine, right? I believe I read a few years ago that Toyohiko Yoshimine aka Ikebukuro Sarah used to write a column there. He was a top level player in the Virtua Fighter scene who also happened to be a video game programmer; he had programmed games like Twinkle Tale and a few PCE shooters. He eventually started his own company and made Goiken Muyou for the Saturn, which is a 3D fighter closely inspired by Virtua Fighter, and I heard he wrote about that process extensively in the Japanese SSM. Do you know anything about that whole story? I've long been curious about it, but I can't read Japanese. 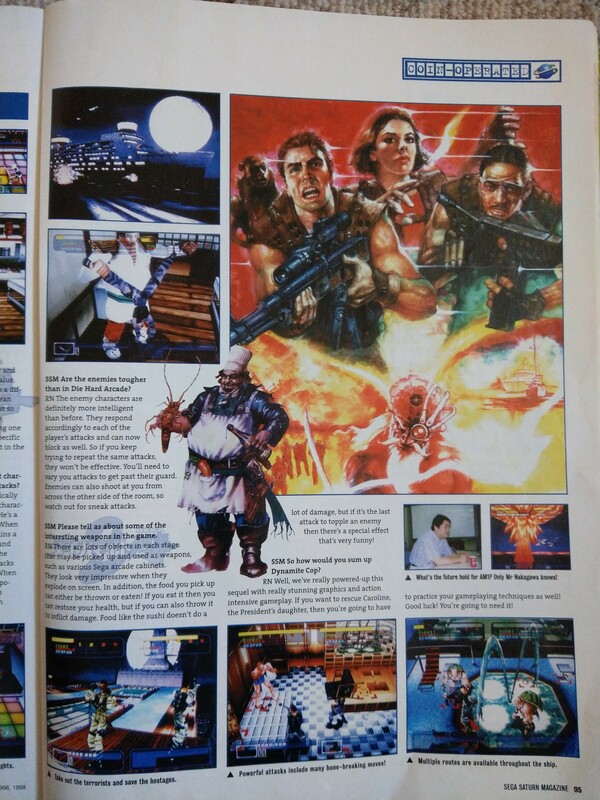 I had 2 interviews with the team who worked on the ST-V and model 2 games .They differ somewhat in that they say the American section did the Art, while the Japanese members who flew out there, worked on the design and programs ,which is backed up when one looks at the credits. I also have a interview with the Alien Front Online team and that was a game developed with most l American team. Where were those published? If they're kind of obscure or were Japanese-only, I'd be happy to post them here as part of this series. Oh, I remember this SSM interview! I actually had that issue back in the day, you could find it and a few more UK video game mags in some specialized stores here.